I’ve taken at least 50,000 photos in my life. I’ve got over 40,000 digital photos on my computer now and I figure I had to take another 10K before that with actual film. So basically those are lost unless I could find the negative (not!) or have it scanned in. Those 1970s photos are fading into black in every album I have. Ironically the few snapshots I have from the 60s or even the 20s look better than those Kodak moments of the 70s and 80s. I’m excited to say that I had my first photo published this month in Southwest Airline’s Spirit magazine. 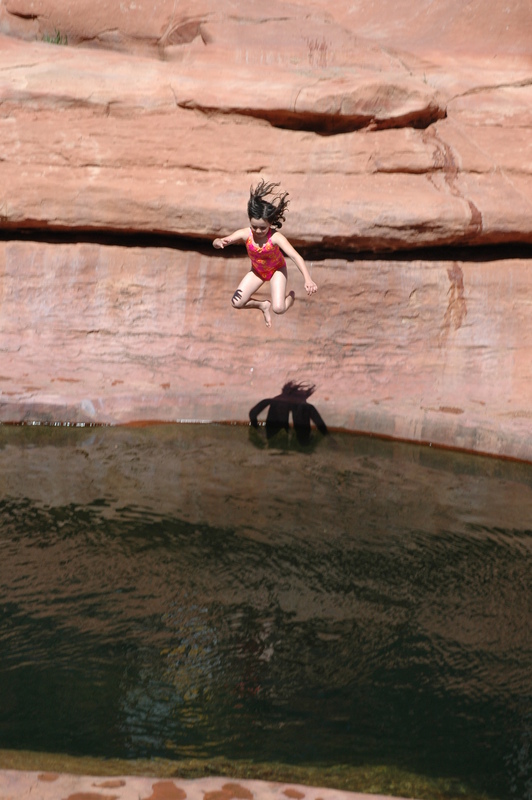 If you’re flying Southwest, check out page 38 and see a 2006 photo I took of my daughter jumping off a tall rock at Slide Rock Park in Arizona.